UK wireless rural broadband specialist Voneus has bought out superfast internet provider SugarNet. This acquisition increases the Voneus customer base to nearly 50 rural communities. 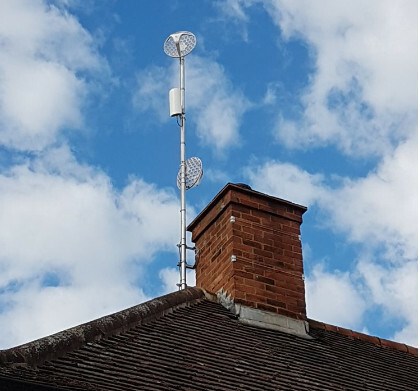 Voneus provides fixed wireless broadband services to rural communities, affixing wireless receivers to individual homes or piggybacking on current telegraph poles to provide a relay for a particular area. SugarNet is Voneus’ first major acquisition since buying out Costswold Wirless in 2017. SugarNet are mainly focused in the cental England area around Oxford, Northampton and Birmingham. Voneus beams a broadband signal directly into the home or business, offering download speeds of 30Mbps to 50Mbps. The company usually works with local broadband activists or community action groups in rural areas. Their engineers connect their wireless transmitters to point to the closest fibre connections, which can be as far as 30 miles away. The Voneus signal is then bounced off a series of transmitters to a particular town or village, where it is picked up by a small receiver installed on each home. “Think of it as very high speed outdoor Wi-Fi,” say Voneus. The company also offers to install a free wireless connection for one communal space in the area, like a village hall or coffee shop. Normally communities have to apply as a group to get wireless receivers installed in a particular area. Engineers connect and attach a discreet wirless antenna to a building, then each user in the local area connects to the internet using a Voneus router. It’s especially focused in areas where the Openreach broadband wiring that powers most of the major ISPs is either not established, or well-established but with very low speeds. 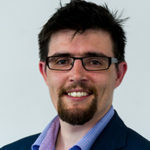 Voneus CEO Steve Leighton commented: “We’re very excited that SugarNet has decided to join Voneus. In a relatively short space of time, SugarNet has built a great business backed up with fantastic customer service. “Even more importantly, the team there shares our commitment to bring high-speed broadband services to the many rural communities which remain stuck in the internet slow lane as they live beyond the reach of traditional operator networks.